We all know plastic is a huge problem and we want to be part of the solution. It’s heart breaking to walk along our beautiful coast and realise you can’t walk any distance without coming across plastic waste of one kind of another. As soon as I heard about Sea No Waste, a newly launched business in Arbroath, I was eager to visit and check it out. Sammy, the brains behind the business, is passionate about making a difference. 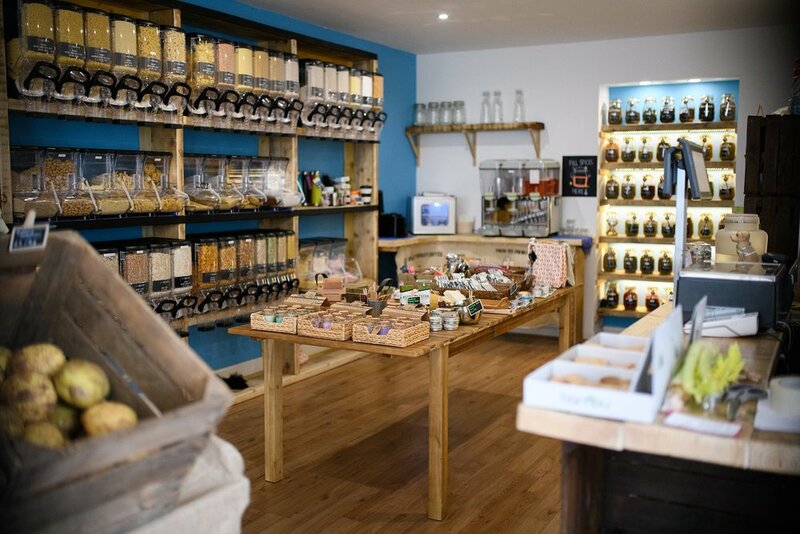 Her enthusiasm is infectious and her shop has a wide variety of competitively priced zero waste products. Have you ever thought about the plastic you use every year with your toothbrushes and empty toothpaste tubes? For as long as I can remember it has been the way the toothbrushes are plastic as are tubes of toothpaste, it’s a given, right? Well not anymore! 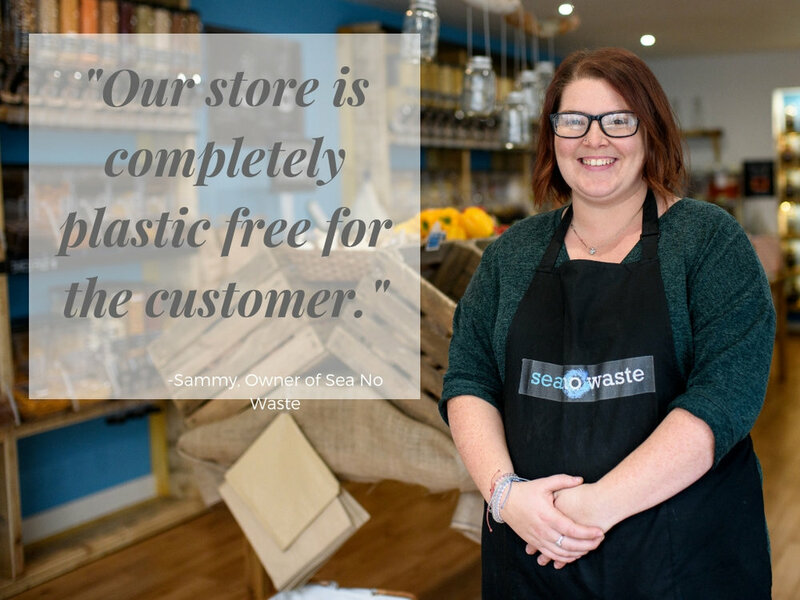 We may be able to search the internet and find products to reduce our household plastic waste but what if you could visit a local shop, support your local high street and save on the postage and packaging too? Scroll down to hear from Sammy all about her new business , what she offers and why she does what she does. Hi, I'm Sammy. My husband Ian and I have 4 kids between us 19, 16, 6 and 3 and we live in Carmyllie, having previously lived in Arbroath. My background is in Nursing and Ian is a chartered Engineer. Having lived around the world I've always been aware of the growing plastic pollution. Certain countries were not so good handling the issues and others had their recycling efforts so regimented it was perfect and the population understood the need for it and that it worked. Everyone is more conscious of the the "plastic" problem we are now facing after Sir David Attenborough's Blue Planet II episode. The documentary that made me sit up and pay attention more was the Plastic Whale. I was so upset by it, and what we as a race had done to our beautiful planet left me determined to make a change. Not only for us as a family but to cut down on unnecessary plastic where possible. When I lived abroad I was aware of bulk store and what they had to offer, so I started investigating if there were any in the UK. 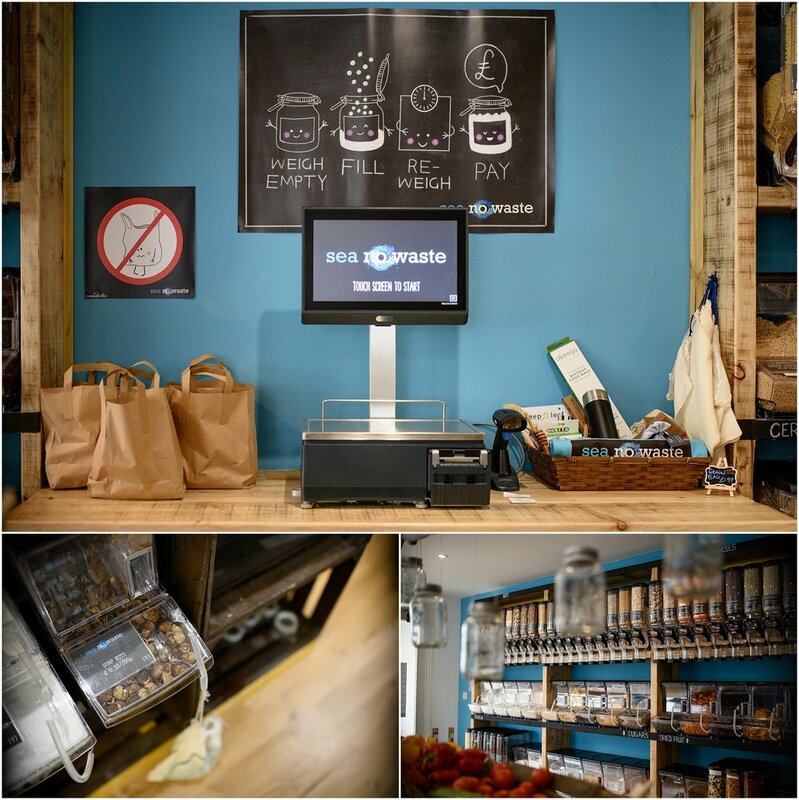 I found one, the first one to open was is Devon, Earth Food Love a zero waste shop provided loose organic items to the public. I showed my husband the store and what they were doing, he asked what I was waiting for, that I should do it as I had been harping on and on for months wishing for a store to open like this in our area. 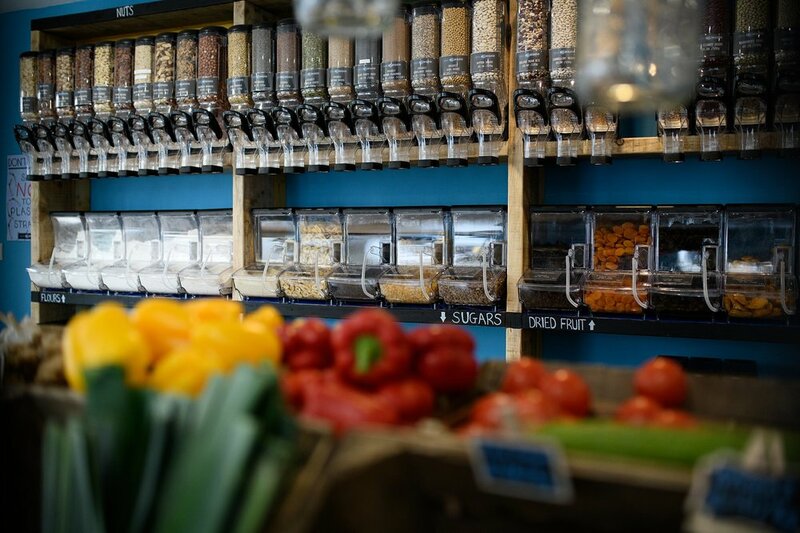 We posted a survey prior to opening on what customers wanted from us as a zero waste store, the main comeback was that it needed to be affordable and we have made sure that was addressed first. It is so disheartening walking into supermarkets and seeing a sea of plastic as soon as you walk in. Half the time it is over the top. I mean who needs a polystyrene tray and cling film to cover a coconut? It is unnecessary and will all probably end up in landfill or the ocean. Who is your business aimed at? Everyone! 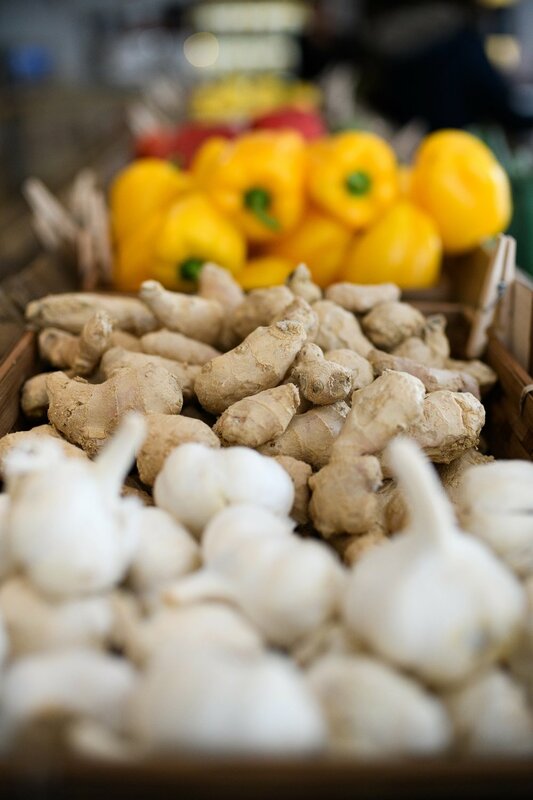 We have seen such a mix of fabulous customers since we opened, from young families to elderly who love the fact they can come in a buy a little of this and a little of that. 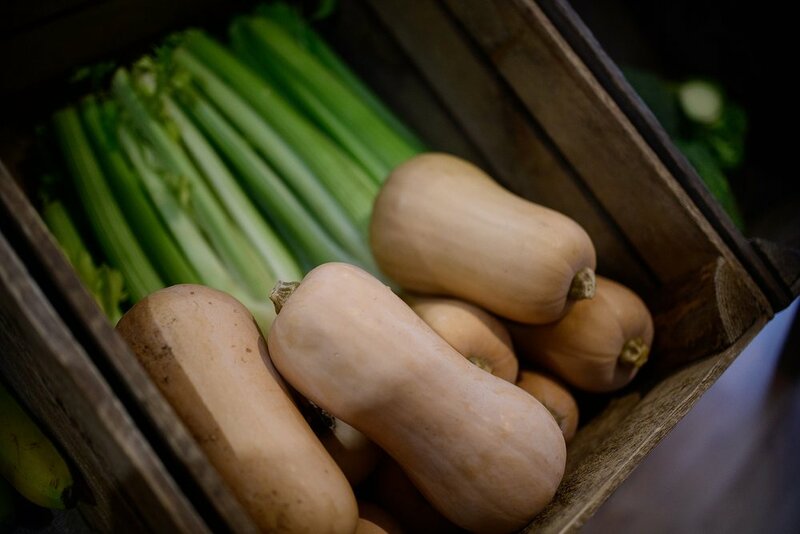 Our Fresh fruit and veg is going down wonderfully as well and all plastic free. 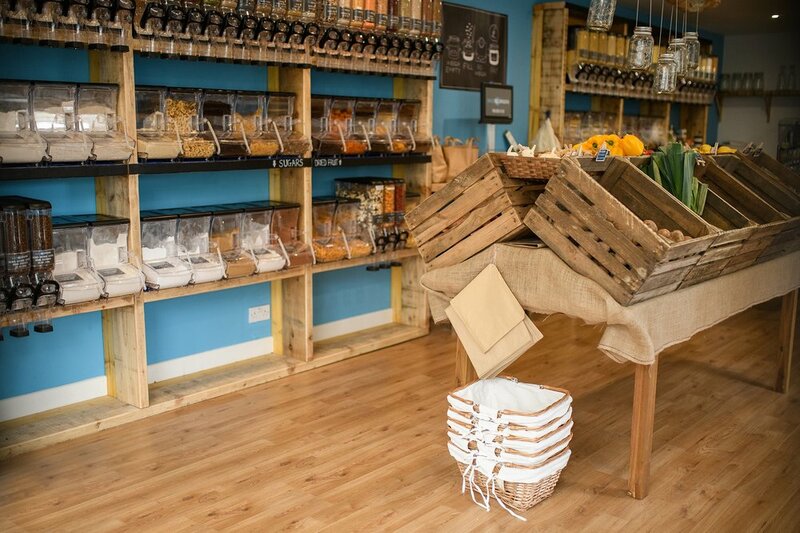 Fresh fruit and veg, Nuts, Grains, Pulses, Dried Fruit, cereal, Snacks, pasta about 10 different flours if you love to bake we’ve got you covered. We have a section of our store that is Gluten free which have pastas and flours and cereals. Nut butters, plant based milks, apple juice on tap, herbs and spices 40+, liquid refills for laundry and cleaning supplies, oils and vinegar's. 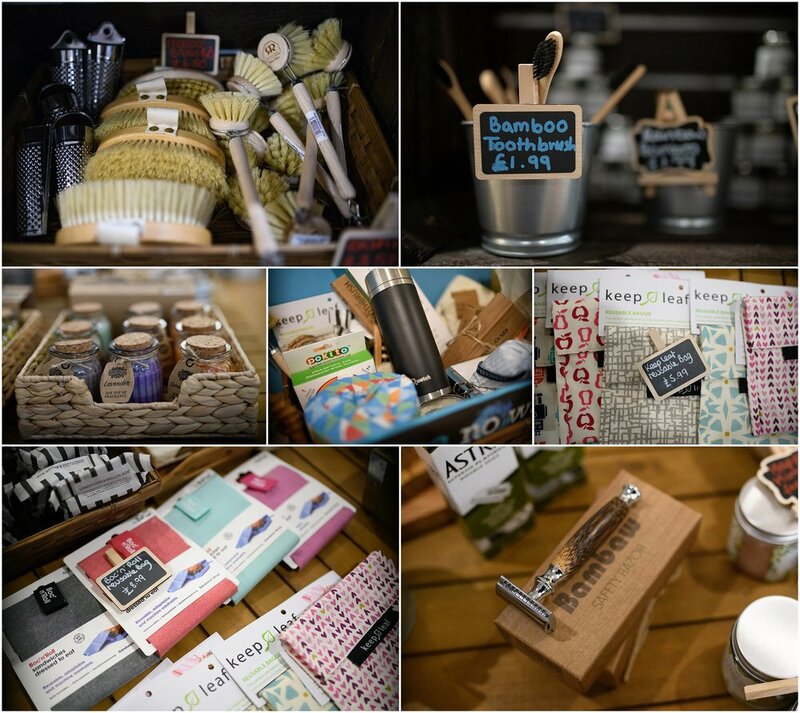 We have a large selection of plastic free alternatives such as cloth sanitary items, beeswax wraps, lunch boxes, stainless steel bottles, bamboo toothbrushes, baby spoons and bowls all from bambu. What impact do you hope your business will have? We are hoping that customers can come to us and get what they need, no more no less. Shopping this way is not only reduces your household waste it should have an impact on the towns recycling centres. They are so often in the news about what they are trying to do to combat the recycling issues and landfill locations. We hope that Sea No Waste can bring about a change wether it be big or small its a step in the right direction to help us in the long run for our kids to have a great place to live and be proud of. Be sure to check out the Sea No Waste facebook page (at time of publishing there is a giveaway on the go) and give the shop a visit at 17 Keptie St, Arbroath, DD11 3AE (right next to the railway station). Do you have a business or are part of a community group looking to make a difference? Would you like to feature on my community blog? Fill out your details here to apply!